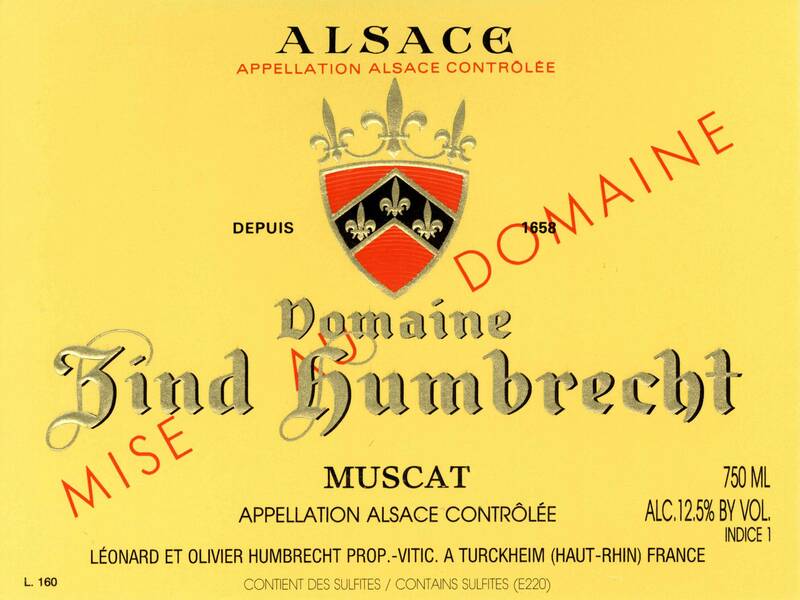 This Muscat actually comes from the Herrenweg vineyard, from very old vines and roughly 2/3rd Ottonel and 1/3rd Muscat d’Alsace (or also known as petit grain). The Muscat Ottonel is a very precocious grape variety, and I fear that it will become progressively more and more difficult to grow balanced Ottonel grapes in Alsace, due to global warming. In 2005, we planted a new vineyard 100% petit grain Muscat, in order to lower the proportion of the Ottonel in the blend. The ‘petit grain’ is the classic Muscat used in the south of France, and is, and will, be perfectly adapted to our climate. This grape variety is slower to ripen, produces grapes with more structure and better acidity. The only drawback is that it needs to be perfectly ripe in order to develop nice aromatics. In 2006, we decided to declassify the Herrenweg into varietal Muscat, as we felt that it was quite closed.